The President of EHOG is Prof. Giuseppe Saglio and the President of Hematology Specialist Association Board of Directors Prof. Birol Güvenç. EHOG has launched the Ambassador Program in order to increase geographical diversity and promote the meetings organized by EHOG among Hematology and Oncology specialists from different parts of the world. Each member represents EHOG in their respective country by spreading the news about the group and its activities to others in their country. 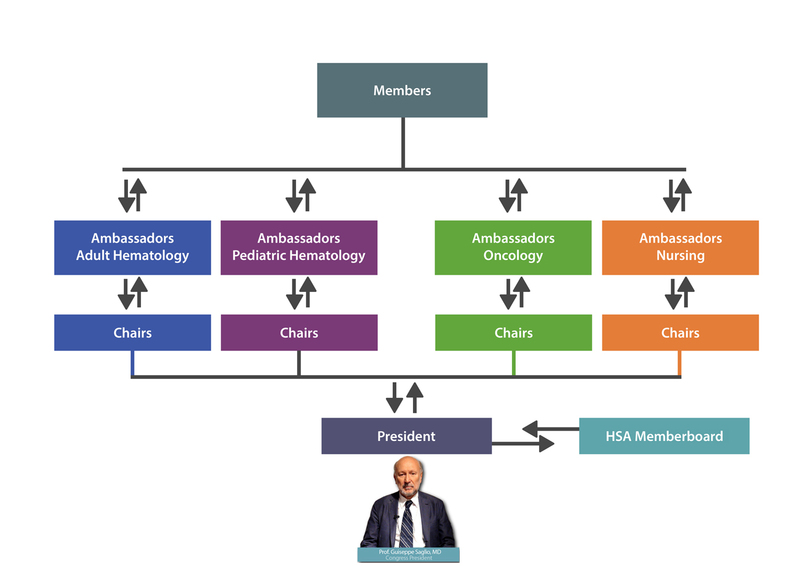 There are four groups of Ambassadors in Adult Hematology, Pediatric Hematology, Oncology, and Nursing. They collaborate with the chairman of the EHOG for the scientific program of EHOC congresses and the selection of the scientific committees by proposing new topics and faculty members.